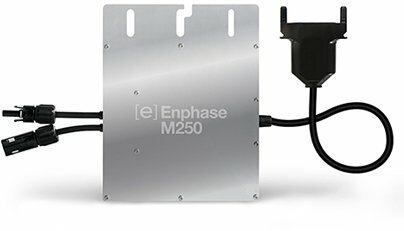 The Enphase M250 MIcroinverter delivers increased energy harvest and reduces design and installation complexity with its all AC approach. 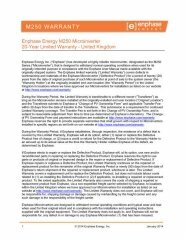 With the M250, the DC circuit is isolated and insulated from ground, so no Ground Electrode Conductor (GEC) is required for the microinverter. 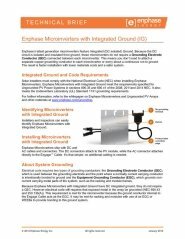 This further simplifies installation, enhances safety and saves on labour and material costs. 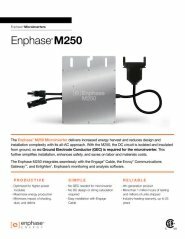 The Enphase M250 integrates seamlessly with the Engage Cable, the Envoy Communications Gateway and Enlighten, Enphase's monitoring and analysis software.